Boys love dinosaurs! They also love anything with wheels! Add in the morph factor and I think these new Switch and Go Dinos from VTech are going to be a major hit this year with little boys everywhere! In as few as four simple steps, Switch & Go Dinos morph between dinosaur and vehicle, transforming before kids’ eyes with little to no frustration. Each toy comes equipped with an LCD screen for customized animation, dinosaur and vehicle sound effects and they also include educational dinosaur facts. These features combine to bring each Switch & Go Dino to life. Kids can personalize the toy even more by selecting animated dinosaur eyes when in dinosaur form and driver faces when in vehicle form. 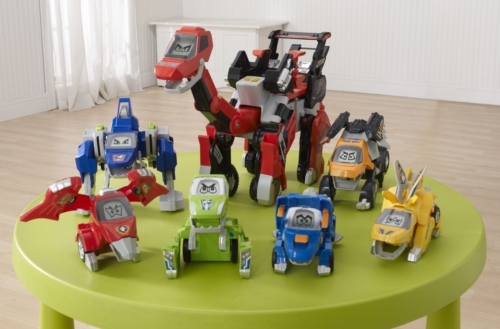 There are 7 different Switch & Go Dinos in the VTech dinosaur/vehicle toys collection with prices starting at $15.99.